Want to be notified of new releases in attogram/currency-exchange-rates? The /admin/ page has a list of feeds. click a feed to update data. 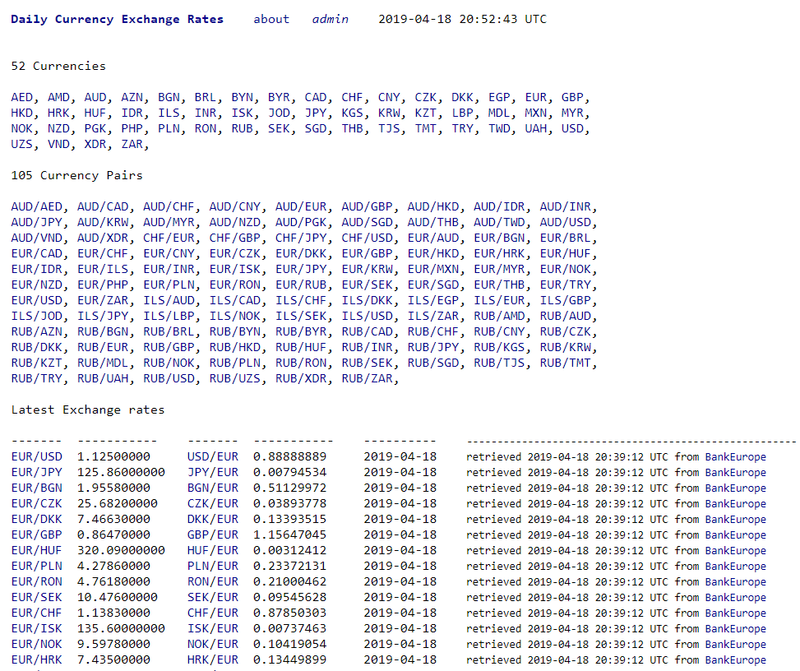 Attogram Currency Exchange Rates is an Open Source project brought to you by the Attogram Project.